Have you signed up for Technique and Choreography class beginning January 16? 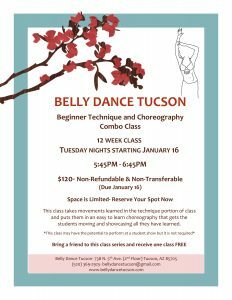 Posted January 14, 2018 by Belly Dance Tucson & filed under Belly Dance Tucson Events. Don’t forget Technique and Choreography class begins this Tuesday January 16 at 5:45PM!!! Hurry, spots are limited! Can’t wait to see you there! For questions contact us at (520) 369-2925.